Family Law attorneys may be unaccustomed to working on a consultative basis with a mental health professional. More often than not, attorneys tend to see such professionals as being experts, evaluators, and therapists whom they will depose, examine in court, and/or cross-examine. The concept of having a consultant in a “team” framework is often not familiar ground. First, the worlds of the attorney and that of the mental health professional could perhaps not be more different. The attorney deals with “facts” and “fact patterns” as though they were material objects; whereas the mental health professional traffics in subtly mixed realities, fraught with ambivalence and innuendo. As the attorney attempts to bring the mental health professional into the courtroom, and therefore into this legal world, the translation process can be difficult, imprecise, and approximate at best. Lawyers often complain that they cannot get a psychological witness to come up with a simple answer; whereas the mental health professional complains about being “tricked” by the lawyer into saying things that they do not really mean. I would suggest that this dynamic is very often the result of these two “world views” attempting to mix together, but finding them to be more like oil and water, than of similar makeup. In the most general sense, the experienced consultant, through years of traffic in both of these worlds, can act as translator. In so doing, the consultant can advise the attorney regarding how to draw what they need from the most obtuse psychological witness, or alternatively, help the mental health witness to avoid the entrapment that are part of the alien ground of the litigation process. In more specific terms, the consultant can help with cross-examination questions of a technical nature, in questioning an adverse mental health witness. For example, familiarity with the otherwise hidden flaws of psychological instruments can help to reveal credibility problems of adverse mental health professionals who may be erroneously vilifying the client on technical grounds. Many competent attorneys are not aware of the striking absence of reliable scientific rigor for the instruments used in custody evaluations. As the psychological community privately struggles with this serious problem internally, as it has for years, these issues seldom make it into public awareness, much less into public scrutiny. There are myriad issues related to reliability and scientific rigor, with which even the most informed attorney could never be expected to keep current. As further example, the consultant can serve as a repository of the Standards of Practice and other guidelines by which their profession is called upon to operate. The administrative rules for the operation of the statues governing professional behavior are usually not well known by even the most practiced and experienced attorney. Therefore, when these rules are broken, which they very commonly are, an attorney’s unfamiliarity with the rules precludes exposing them. By acting in the consultative capacity, the consultant is not hamstrung by the limitations of their role being narrowly defined as an evaluator or a therapist. In order to remain unbiased, the evaluator or the therapist is restricted from the exchange of casual information that may otherwise be helpful to the attorney. Since the consultant is typically thought of in terms of being “Work Product,” no such restriction applies. Consequently, a very broad and spontaneous “think tank” environment can exist, which can keep the case fresh and give the client a sense of confidence with the representation. In the event that a professional expert is required for testimony or for appointment by the court, the experienced consultant, having operated within the world of high conflict divorce for many years, can be absolutely instrumental in finding the best expert for the job. This might require a nationwide search, or it might involve a pre-screening of local professionals to determine their suitability for the job. The value that this single task can bring to the case can be very significant. Other functions that may be performed by the consultant are as limitless as one’s creative imagination. The bottom line is, however, that the consultant can and should serve as a valuable resource for the attorney as well as for the client. The effective consultant should make the work of the litigation operate more seamlessly and with less effort. In short, the attorney no longer has to carry the entire weight of the case. Assist attorneys to overcome assaults on their client’s character. Developing strategies to insure that the authentic history of the case and the clients relationship with their children is revealed to the court. Create a team approach to the process and giving the parent a much greater feeling of accountability and control over their lives. Help parents rehabilitate their image in the eyes of the court, and perhaps in the eyes of their own children. Help parents understand how to best respond to difficult behavior from their confused and traumatized children, as well as how to do so in ways that do not place the children in the middle. Work with the attorney to collectively deal with hostile professional witnesses who have mis-portrayed you as a parent. Help select professionals that understand the complexities of cases involving PA and how alienating parents work to eliminate a relationship between the children and the other parent. 1. Initial Meeting with Client. The first step is usually a phone conversation between Dr. Bone and a parent and/or attorney. This discussion is completely confidential and includes anything the client may want to discuss. Dr. 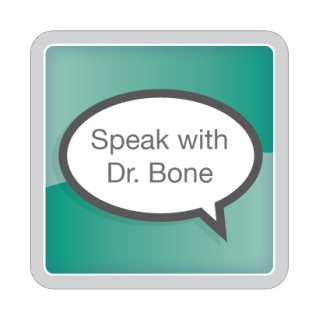 Bone will be able to provide specific suggestions for your situation and be able to explain how/when/where his involvement can improve your court hearing / evaluation / testimony / case outcome. This first step can go a long way in helping to create a better overall outcome for your case. The list of materials may include evaluations, court orders, letters, emails and literally anything that is pertinent to the case. The extensive amount of materials that accumulate in cases involving Parental Alienation can be very daunting but Dr. Bone is quite familiar with this aspect of these types of cases. Here’s where a thorough understanding of how Parental Alienation cases differ than others seen in Family Court is vital. It is very easy for the court, mental-health professionals, lawyers and clients to become overwhelmed, overly-focused or simply become diverted by details that are immaterial in reaching resolutions. Think of Dr. Bone as a fresh pair of eyes in the investigation of your case... eyes that are experienced in seeing through the facade that alienators are quite adept at creating. He is very experienced at weeding through a mountain of papers and identifying key points that will truly get the court’s attention. The goal is to accumulate a compact version of the case and again, find those specific items that will be most critcal to helping the court to see the authentic history of your case. This part of the preparation of your case can save time and money. Any other professionals brought into the case or those you have already hired will have access to not just a condensed version of events, but a list of items to remain focused on. Too often the court and everyone involved seems to get side-tracked by unimportant details that waste precious time and resources. Dr. Bone understands that while these “unimportant details” may be very emotionally important to a mother or father experiencing them... they are often however, irrelevant to the court and to helping your case get resolution. This step is where your case will change direction, regain focus and find positive footing amidst the drama of Parental Alienation. The goal is to eliminate distractions that alienating parents create and help the court see the authentic version of your case. Dr. Bone works directly with a client to develop strategies that work to break-through the false-front presented by an alienating parent. He will assemble a team of professionals to work on your case under his direction and recommendations OR he will work alongside the professionals you have already hired. Dr. Bone feels that a “team” approach to presenting these cases is extremely important. Strategies will only work if everyone involved in presenting your case is fully prepared to implement them. A thorough review of materials is crucial for the understanding of the strategies that should be incorporated into your case. Whether you have already hired an attorney, or other professionals, or you are in need of recommendations for these services, Dr. Bone can help. Over the years, Dr. Bone has developed networks of experienced professionals who are knowledgeable in the areas of parental alienation. Through careful interviewing and screening, he can help you find professionals local to your area. This “initial filtering” process may help a parent who is dealing with alienation avoid falling into the “blind spots” of attorneys and mental health professionals who may simply be unfamiliar with the peculiarities of parental alienation. This initial screening of professionals is a critical step which has direct impact onto outcome. Competent attorneys welcome (and are not threatened by) consultative input. When one considers that a busy family lawyer becomes involved in parental alienation in a relatively small percentage of their cases, it is easy to understand how it would be impossible for even the most competent family lawyer to keep up with the latest litigation developments. In addition to this purely “educational” purpose, the consultant can also help assist the lawyer with the development of case strategy, by incorporating knowledge on the subject and experience in what has been successful in other cases. Most experienced attorneys will be the first to recognize the level of complexity and specificity that is involved in successfully litigating a parental alienation case. In the capacity of consultant, Dr. Bone typically reviews documents, pleadings and reports, and makes specific recommendations regarding expert testimony, review of expert work product, and consultation with experts perhaps already appointed on your case. Through this strategy, the legal system becomes educated about parental alienation one case at a time, and leaves in its wake newly educated professionals and parents. Litigating a complex family law case has been described in the following terms: imagine a jigsaw puzzle with a thousand pieces. The attorney is only allowed to use ten of the pieces, yet must accurately convey the picture of the puzzle to the court using only these ten pieces. The process of selecting which ten pieces is enormously complex and vexing. “Breaking the code” of which pieces to select, and which not to become distracted by, is a skill based on a level of experience that can only be developed by being “in the trenches” of the courtroom for many years. Dr. Bone has served in all of the capacities for which he now consults. After all, even the most seasoned and experienced family lawyer has only litigated cases involving Parental Alienation (PA) in a fraction of his or her cases. 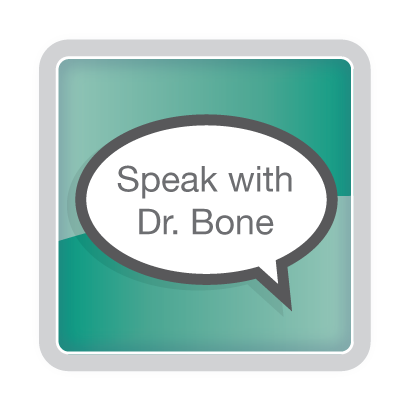 Virtually all of Dr. Bone’s experience is born of dealing only with these cases in multiple states. In most ongoing litigation, there are already existing mental health professionals involved with the case. The experienced consultant can help the attorney with critique of adverse witnesses as expressed in the analysis of expert reports, analysis of past testimony, and the development of cross-examination questioning, as reflected by the current standard of care. Additionally, the consultant can work with mental health professionals also involved in the case who may not be knowledgeable of the latest research and related matters regarding PA.
One of the most valuable functions served by the consultant is the development of general case strategy and determining which points are most important to emphasize and which are not. One of the biggest challenges the family attorney faces is reducing huge amounts of information and presenting it in a way that tells the case’s story in the most compelling terms. If PA is not involved in a case, this challenge is still present. However, if it is involved, the challenge is even greater. The likelihood that the case presentation and focus may become distracted increases and the danger of fragmentation increases dramatically. Alienation cases typically have voluminous amounts of information that must be organized and presented in a concise manner. Cases involving PA commonly have mental health professionals already involved who may be otherwise competent, but naïve to Parental Alienation. Such therapists may find themselves treating a child who has become alienated from one parent due to the actions of the other parent. These therapists will very often side with the alienated child’s resistance to seeing the unwanted parent and believe they are “protecting” the child from the other parent when in fact there is no danger. In PA cases, these professionals become “adverse witnesses” and therefore unwittingly support the alienation. In the context of litigation, the attorney for the alienating parent is often able to persuade these therapists to offer an opinion that supports the child’s not seeing that other parent, even though they have never even spoken to that parent. Once a therapist has done this, he or she has typically committed significant ethical errors, which should diminish their credibility. However, if the attorney for the alienated parent is not aware of these ethical intricacies, this therapist’s opinion could go unchallenged and potentially do great damage to the case. Exposing these ethical gaffs is extremely important to the truth of the case as it is understood by the Judge; however, these types of ethical errors often go unchallenged. The consultant, seasoned in PA, would not allow this process to go forward unchallenged. In becoming involved with parental alienation cases in multiple states, it is evident how many potentially good, yet alienation naive clinicians are available. Years of experience have taught that well intentioned and otherwise competent (yet untrained in the area of alienation) professionals have unwittingly done harm, and have inadvertently worked in support of the alienation. Ironically enough, competent therapists, but inexperienced in working with alienated children, will often support the alienation. Likewise, evaluators naïve to PA will assume the allegations of abuse to be valid and accurate and will not have the tools to effectively evaluate this and to rule on it. Therefore, finding a parental alienation-savvy evaluator is critical. Your first consultation is discounted to $150. Further consultative services are charged by the hour or per retainer based agreements. After payment is received Dr. Bone will contact you to schedule your appointment. Your privacy is very important to me. Your information and messages are considered private and confidential and will not be shared with anyone. Get helping regarding your specific Parental Alienation problem through an Initial Consultation with a National Level Expert. This is an important first step. Expose the distortion of history, expose the lies and convey the actual truth of you situation by implementing your most important tool, story telling. PAS was tested and did pass this important legal test in November of 2000, in Tampa, Florida. J. Michael Bone, Ph.D. was directly involved in this Frye Hearing as was Richard Gardner, M.D. along with Richard Warshack, Ph.D. The court ruled that PAS was accepted in the professional scientific community and did meet the Frye standard. The process of presenting evidence.